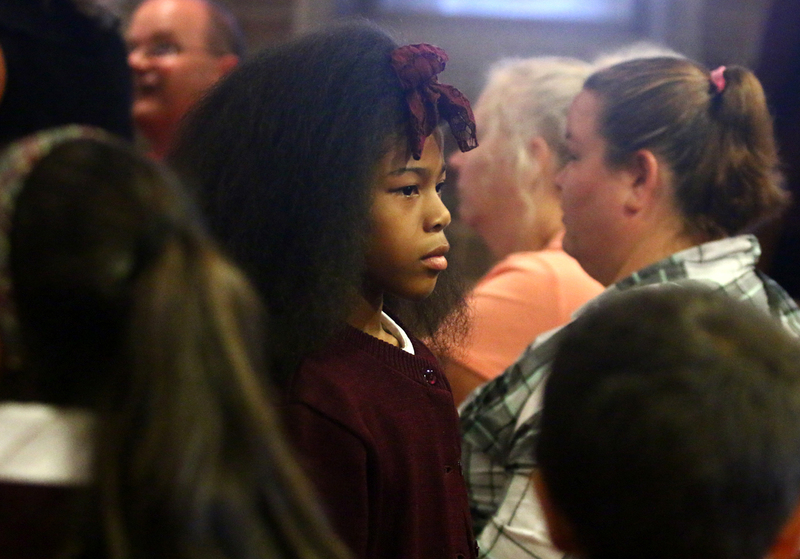 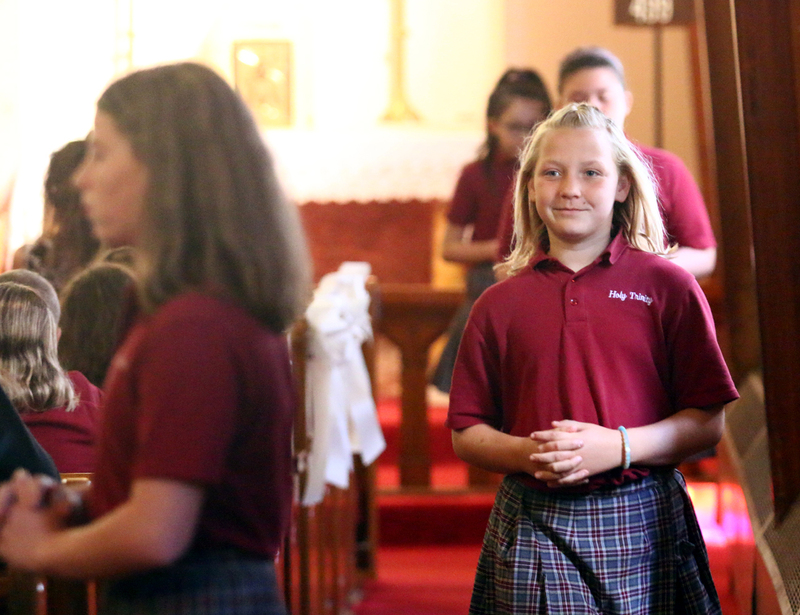 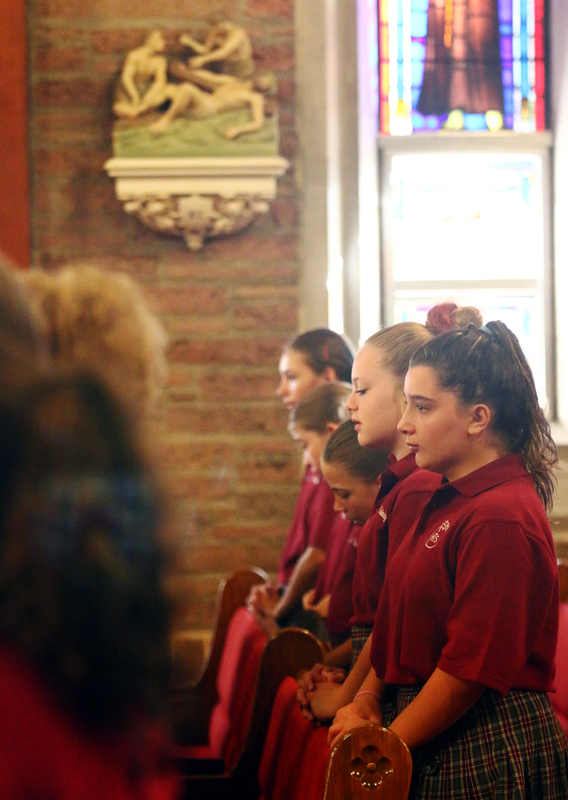 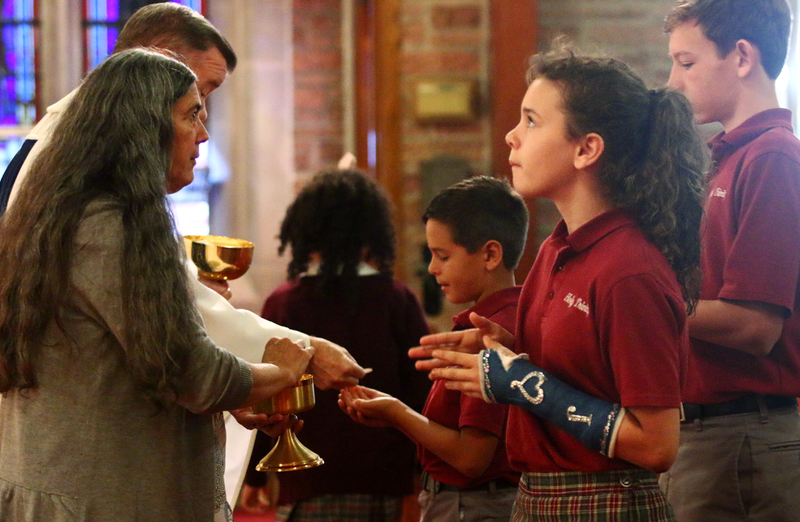 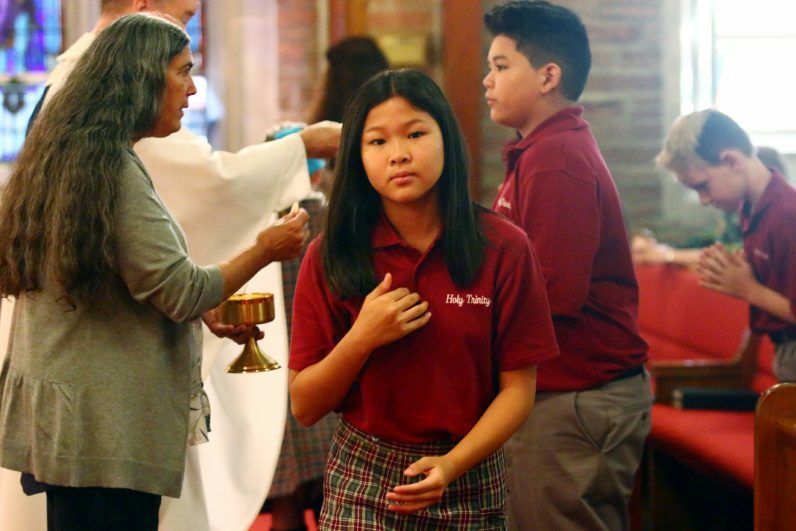 Sixth grader Leanna Bresnan returns to her pew after receiving Communion at a Mass to start the new school year on Sept. 8 at Holy Trinity Church, Morrisville. 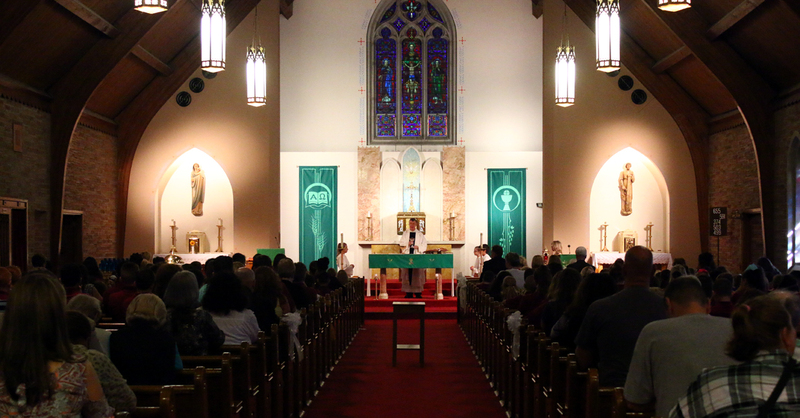 Father John Eckert, pastor, celebrates Mass for Holy Trinity students, faculty and family members. 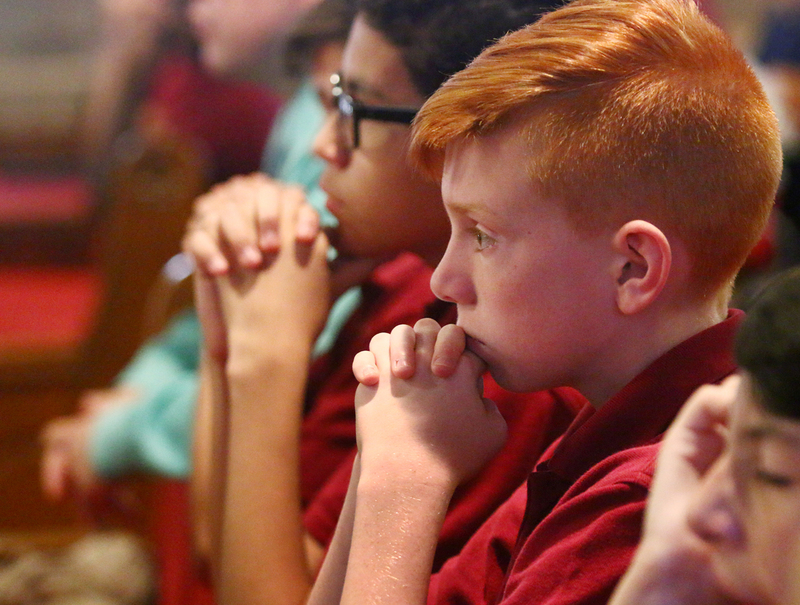 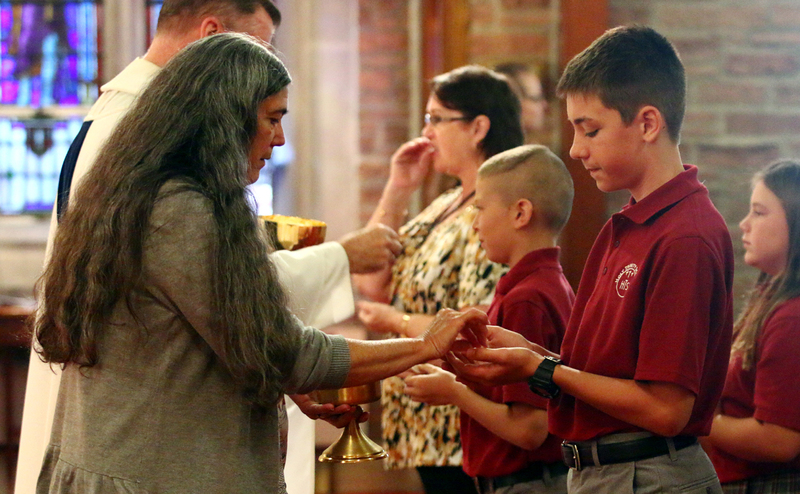 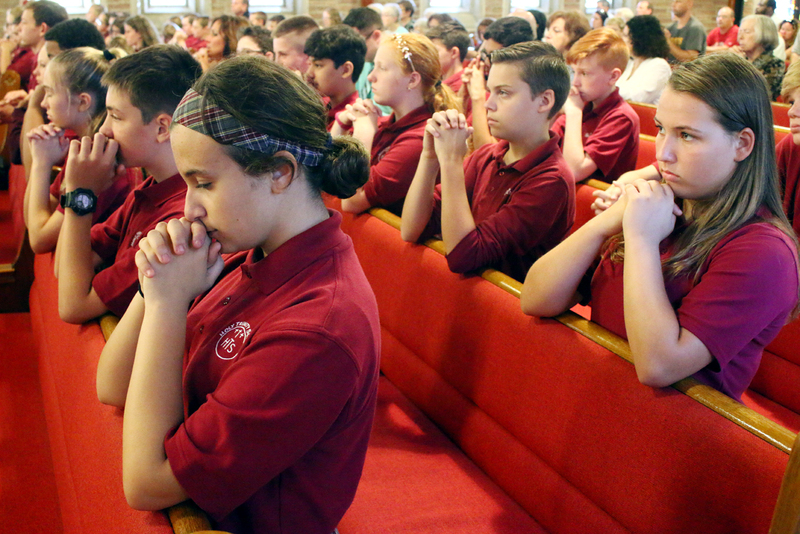 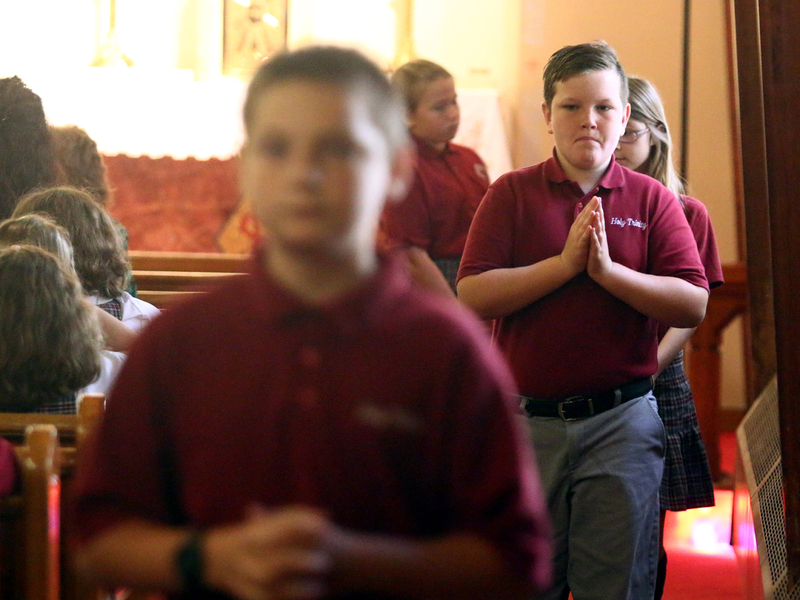 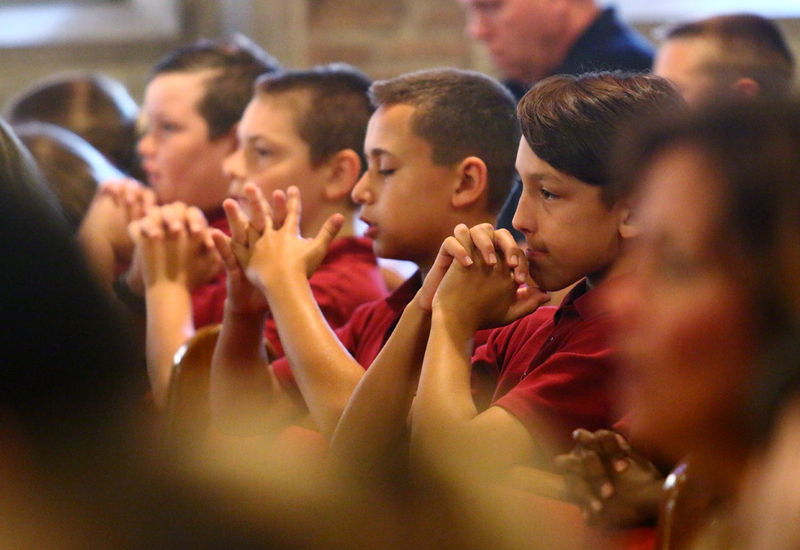 Sixth grader Declan McIntyre (right) and his classmates pray at Mass. 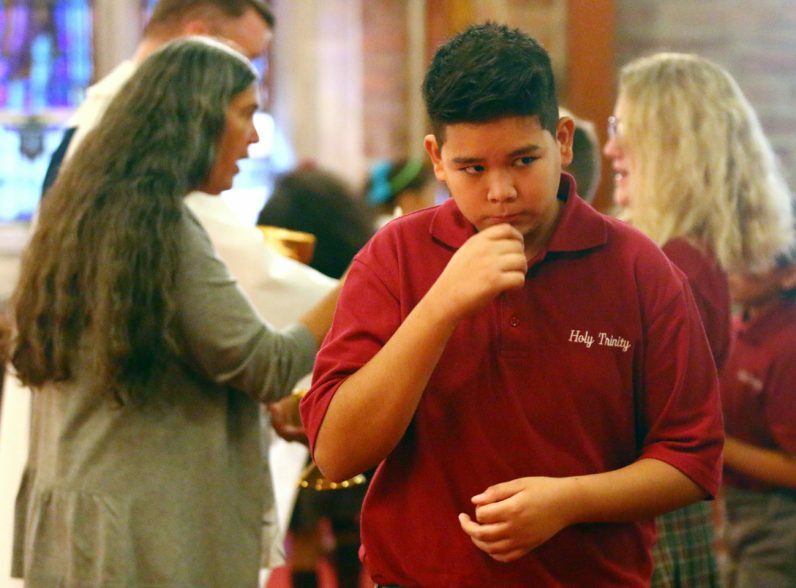 Seventh grader Leonard Zuniga blesses himself after receiving Communion. Jordan Somershoe takes a moment to pray after receiving Communion. Holy Trinity Catholic School Principal Elaine McDowell welcomes students and special guests. 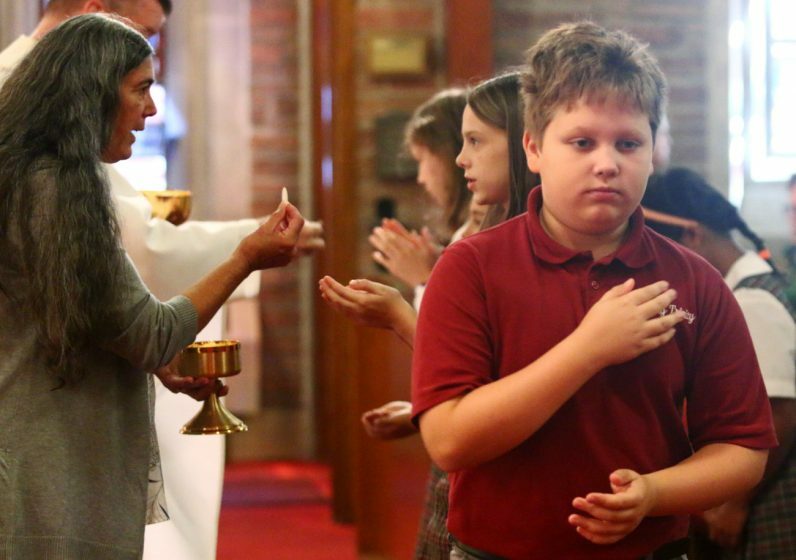 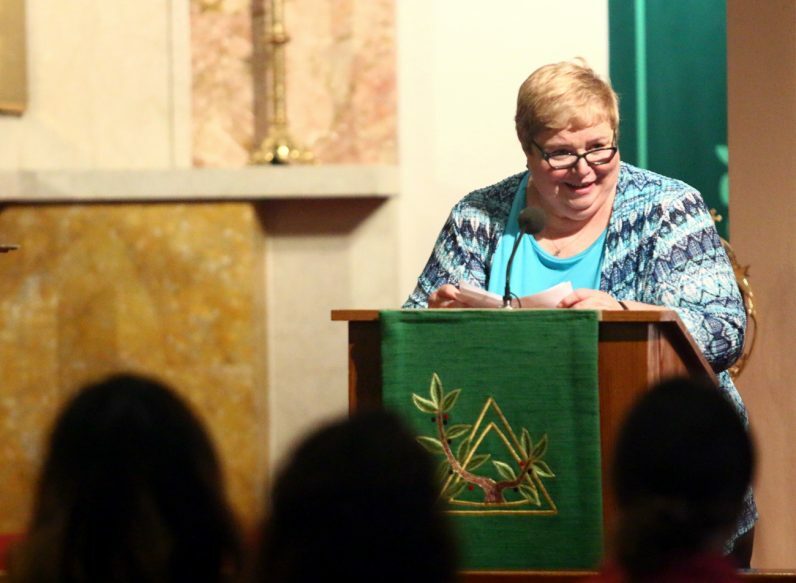 Foundations and friends that support Holy Trinity School were honored after Mass.